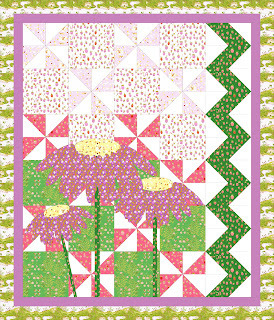 Tomorrow is the day that voting opens in the Briar Rose Quilt Design Competition on Threadbias. Here is the quilt that I designed using their quilt design tool. I am calling it "Bumble Berry Paradise." 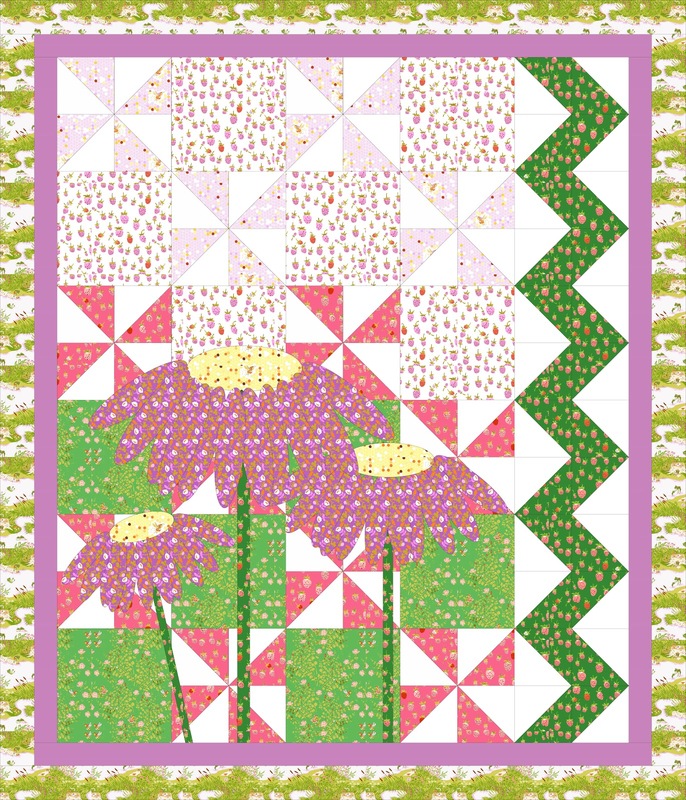 My quilt has purple cone flowers appliqued on the quilt top. The yellow fabric has honeycombs and little bees so it was perfect for the flower centres. The border fabric has adorable little frogs on logs and fishing in their frog pond. I added the zig zag down the side for a more modern pop and a bit of interest. It also balances out the weight of the cone flowers which I offset to the left. Thanks for stopping by and checking out my quilt design. Come back tomorrow as it's "Give Away Day" (see button at right) and I will be giving away fat quarters and patterns from my stash.